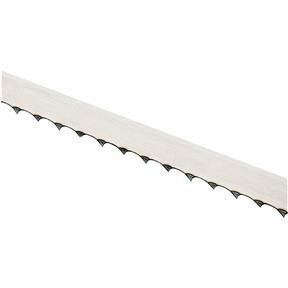 From the manufacturer: During the manufacture of this blade, the teeth are embedded with carbide particles, making this a very durable blade which retains its sharpness even when resawing the hardest and toughest woods. 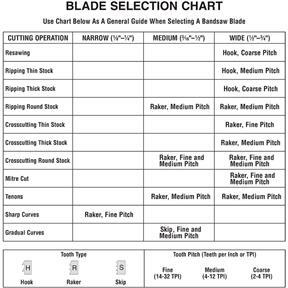 This SuperCut blade is especially designed for resawing wood, particularly the hardwoods and other difficult to cut wood species. The narrow kerf conserves these expensive woods, giving you more yield from a block of lumber while the hard, sharp, carbide embedded teeth maintain their sharpness and set.